Free Food — MumbleBee Inc MumbleBee Inc. 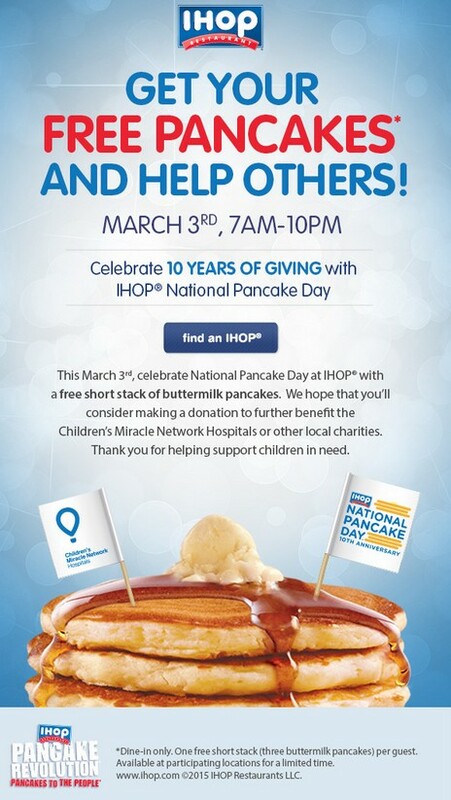 Since beginning its National Pancake Day celebration in 2006, IHOP restaurants have raised nearly $20 million to support charities in the communities in which they operate. 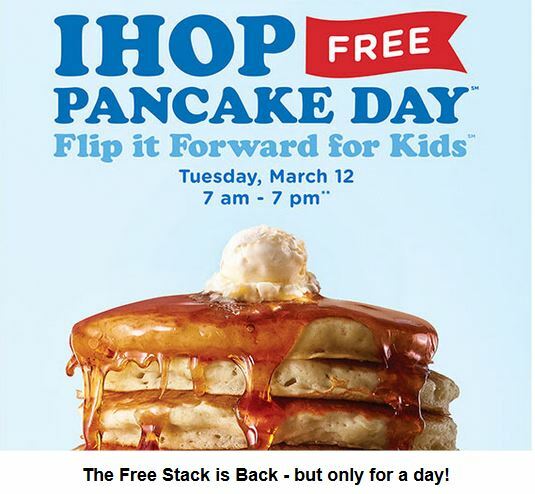 On March 12, 2019, from 7 AM to 7 PM, guests from around the world will celebrate the eleventh annual National Pancake Day at participating IHOP restaurants and enjoy one free short stack of Buttermilk pancakes*. In return for the free pancakes, guests will be asked to consider leaving a donation for Children’s Miracle Network Hospitals© ** or other designated local charities. *Valid for 1-time use only and limit 1 per order. Tax and gratuity excluded. Not valid with other coupons or discounts. No cash value. Offer expires 4/14/19. Account sign–up required. Online orders via the IHOP® website or mobile app only. At participating restaurants. Further restrictions may apply. **Limit one offer per guest. One free short stack of Buttermilk Pancakes. Participating restaurants and hours may vary. Check with your local IHOP restaurant for details. Dine-in only. This month your bagel is free every day. 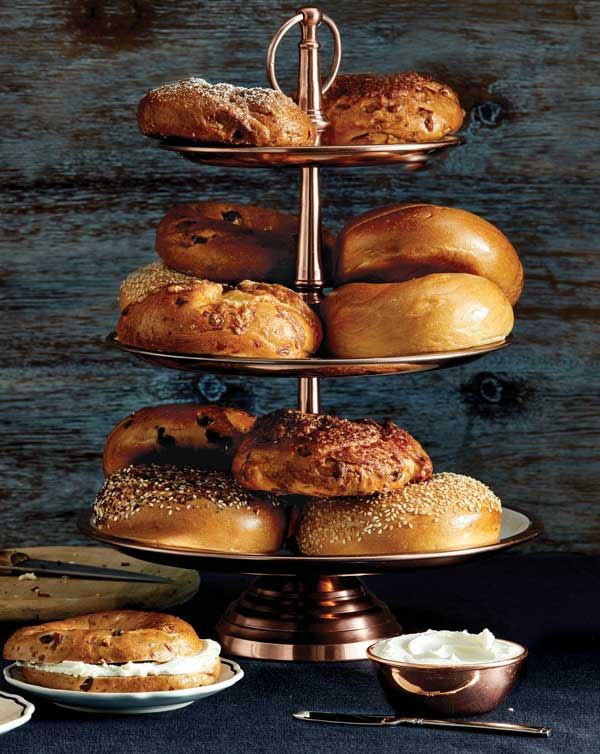 Present your MyPanera card each day to redeem your reward for a free daily bagel in January in a participating bakery-cafe, online or through our mobile app, where available. Limit one bagel per day. Offer is eligible on same day ordering only. Spreads not included. Cannot be redeemed for other bakery items or bulk bagel packs. While supplies last. Offer expires 1/31/2018. Find an IHOP Near You! Since beginning its National Pancake Day celebration in 2006, IHOP restaurants have raised nearly $20 million to support charities in the communities in which they operate. 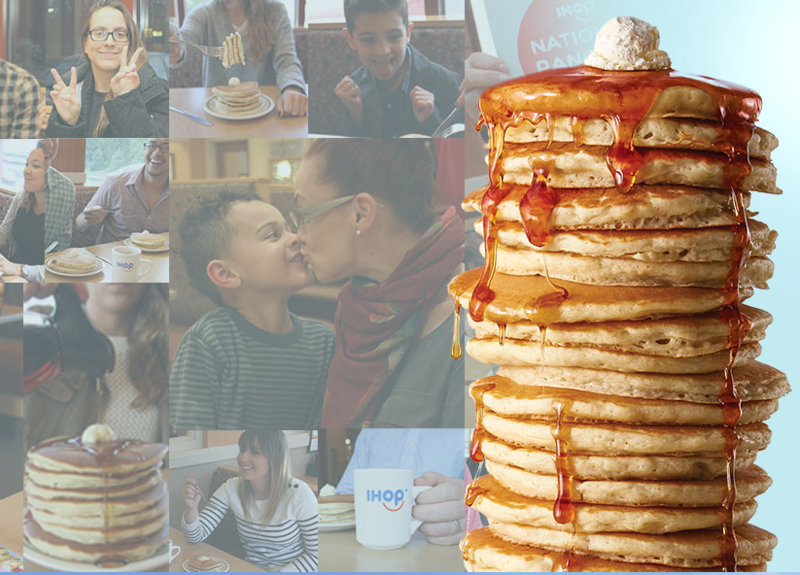 On March 8, 2016, from 7 AM to 7 PM, guests from around the world will celebrate the eleventh annual National Pancake Day at participating IHOP restaurants and enjoy one free short stack of Buttermilk pancakes*. In return for the free pancakes, guests will be asked to consider leaving a donation for Children’s Miracle Network Hospitals© ** or other designated local charities. Our Goal this year is $3.5 million for charity! * There is a limit of one free short stack per guest. The offer is valid at participating restaurants for dine-in only while supplies last and is not valid with any other offer, special coupon or discount. ** Children’s Miracle Network Hospitals is a qualified 501(c)(3) tax-exempt organization and donations are tax-deductible to the full extent of the law. No goods or services were provided for this gift. Please consult your tax advisor regarding specific questions about your deductions. Click image to find the nearest location near you! We encourage you to give back during your visit by providing a donation to Children’s Miracle Network Hospitals and other designated local charities. At participating restaurants. One per guest. Dine in only. 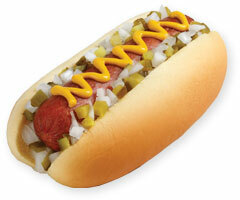 Get a free hot dog on National Hot Dog Day July 23, 2013 only – Coupon must be printed to redeemed at these three following locations.